Professional pest control together. 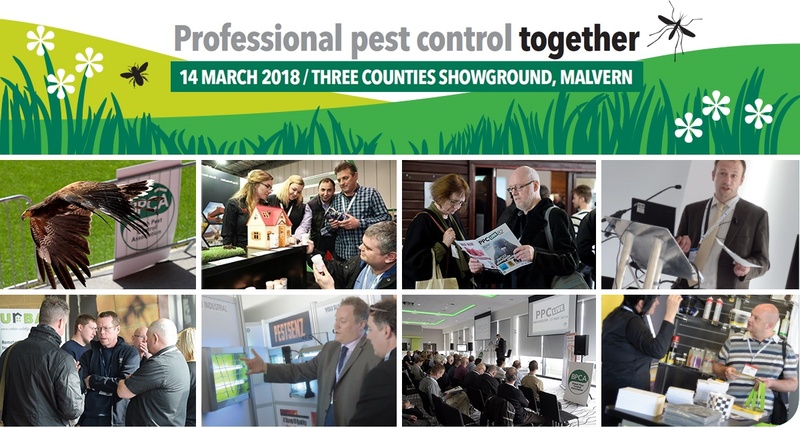 PPC Live is the sister show to PestEx, and is BPCA's exhibition and conference designed for UK pest control technicians, managers and company owners. This event will be held on Wednesday 14 March 2018 at the Three Counties Showground in Malvern, Worcestershire. PPC Live is one of the UK's most popular one-day pest control events. With free visitor entry and a seminar and practical programme that is unrivaled by any other event in the UK. PPC Live brings the whole sector under one roof to share and learn from each other to make a stronger, safer pest control industry. What if pest controllers could fly? Anyone who registers for PPC Live before Wednesday 7 March 2018 will receive a voucher for a bacon roll and a hot drink. You must collect your breakfast roll and hot drink before 10.30am. You've read the magazine, now attend the event! BPCA's popular one-day exhibition for technicians, surveyors and business owners! Looking to exhibit at PPC Live 2018? PPC Live attracts company owners, top-level decision-makers and technicians from the pest management industry in the UK, which means you will be talking to the right people in the right place at the right time. Why is it called PPC Live? PPC (Professional Pest Controller) magazine is the voice of the British Pest Control Association, serving the industry with informative editorial reaching both BPCA members and non-members. PPC is an effective magazine and communication tool, attracting the attention of the largest pest management companies, suppliers, and distributors in the industry.